Do any of y'all want to do me a silly little favor? We're Finally Three has recently been added to the Top Mommy Blogs Special Needs category! It would make me very happy if y'all went on over there and voted for us! We are currently #4 in our category which is great but the more votes we get, the more visible the blog will be. My hope is that the more visible Kate's story is, more people will become motivated to educate themselves about bone marrow donation which will increase the potential donors on the national registry! All you have to do it click this little button right here! And then, every day you can click the badge on my right sidebar under the "about me"section! Just a click is all it takes - Top Mommy Blogs will track everyone that clicks over to their site from our blog - super easy! Kate has already led tons of people to join the national registry - that means my little girl is inspiring y'all to save lives! That is HUGE! So, a big thanks for helping Kate, and our family, spread the word about something to simple, yet so very important! And, because I love my readers so much - I have an amazing giveaway that will be posted either today or tomorrow on the giveaway blog - so keep your eyes out for a post over there! I'm clicking girl!! :) And I just grabbed your button to add to my sidebar! I clicked the button, but once i get to the site, I don't get how to vote? 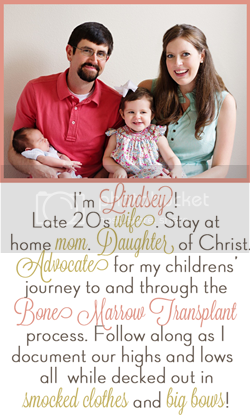 Lindsay - all you have to do is click! It counts votes by the number of clicks that come from my blog address! well you've got my vote!! have a great weekend!